In life, there are inevitably times when we’ve all been a little overexcited. Like when you were a kid on Halloween and you’d come home and eat your candy so fast that you’d throw up everywhere. Or the first day of college spring break, when you’d finally get to Panama City and then you’d throw up everywhere. You know...from the excitement. Or when you go to a new restaurant and have a few great meals, and then proceed to drop a 9.0 rating on the place like it’s the gastro-pub version of Eleven Madison Park. Such was the case with our initial review of Allswell. Let’s just say that we got a little worked up. Only ten other restaurants on Immaculate Infatuation have an equivalent or higher rating than our initial review of Allswell. And while this place is very good, subsequent visits have demonstrated that we might have gotten a bit carried away. The restaurant hasn’t necessarily declined in overall quality -Allswell is still putting out very good food - but the problem is that they change the menu daily, and things therefore become somewhat inconsistent. And when you’re talking about what sets a great restaurant apart from a legendary restaurant, consistency usually has a lot to do with it. 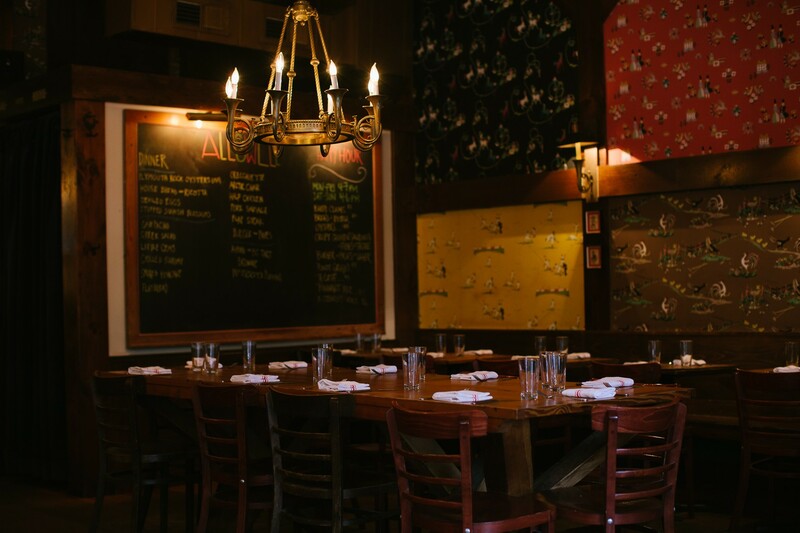 Ultimately, Allswell still remains one of our favorite dining establishments in Williamsburg, and we strongly recommend that you check it out for dinner if you haven’t yet. As a matter of fact, we’re pretty sure that lowering the overall rating on this place will also lower some expectations, and that’s a good thing. Then maybe you’ll catch it on a great night and have a 9.0 meal yourself. Just try to control your excitement. And do your best not to throw up. As far as we can tell, this is the only thing that seems to be a permanent fixture on the Allswell menu. It’s a very good burger with Grafton cheddar and some home made mayo, so I suppose we get why it’s always there. Everyone likes a good burger. There’s usually some kind of gnochhi dish available as well, and it often features mushrooms. And we’re not mad at that. This one’s a safe bet to be delicious no matter what else is in the mix. Another pasta dish from one of our recent visits. We’re always fond of when in-season corn and noodles meet on a plate, but this one was a bit boring. So this is basically a Greek salad. It’s good, but it’s also not much different than any other Greek salad. Know that going in. We like the steaks that we’ve had at Allswell, and strongly suggest you head in that direction if you see one on the menu. There pies on the Allswell menu almost always, and you shouldn’t need us to tell you that you should eat them. Especially any of the apple variety.